Promotional material for the Lesley School, featuring the cooking course from the Department of Domestic Science. 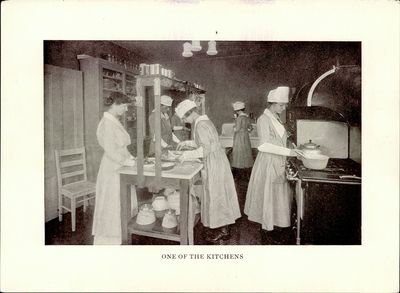 Five students, wearing cooking uniforms and hats work in a kitchen. \"One of the Kitchens\" written in the border.